Figure 1. Blue lines represent day length at various latitudes. Most WI soybeans are grown between 43 and 45 degrees latitude. The vertical lines represent the time spent from R1 through R6 for May 1st (Green Lines) and June 1st(Orange Lines) planting dates. WI soybeans are mainly grown between 43 and 45 degrees latitude. 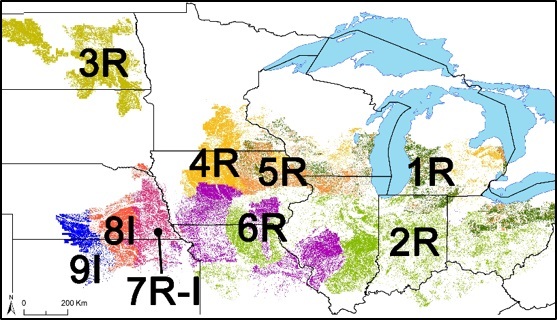 The aforementioned soybean yield advantage to early planting was also quantified across WI (as well as other soybean production regions) in our North Central Soybean Research Program and Wisconsin Soybean Marketing Board funded project entitled Benchmarking Soybean Production Systems in the North-Central USA. 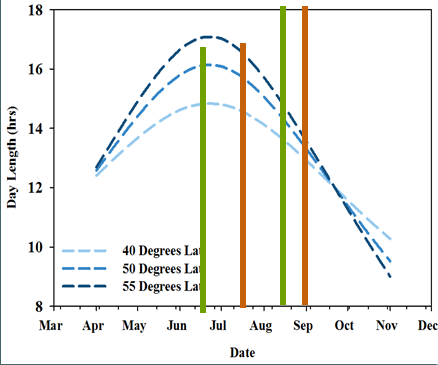 Wisconsin farmers shown in the coded regions 1R, 4R, and 5R (shown in Image 1) experienced a 0.4 to 0.5 bu per acre per day yield loss when planting was delayed past April 25 (Figure 4) (Edreira et al., 2017). 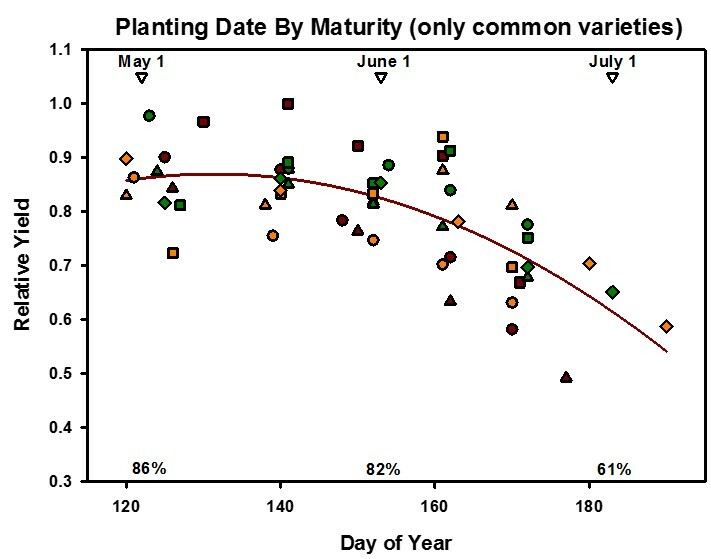 **Note we are not advocating planting into poor soil conditions just to plant early. For more information on this project please see the three below Extension publications that have resulted from published research. Image 1. Map of the North Central US region showing nine technology extrapolation domains (TEDs) for the present study. A coding system (from TED 1 to 9) is used to identify each TED (shown with a unique color) and its associated water regime (I: irrigated, R: rainfed). There were actually 10 TED-water regimes (denominated as just TEDs for simplicity) because rainfed and irrigated fields co-existed in TED 7 (7R and 7I, respectively). Figure 4. Producer soybean yield plotted against planting date in 10 technology extrapolation domains (TED) in the NC USA region, including rainfed (A–G) and irrigated (G–I) production areas. Solid line corresponds to the fitted boundary function using quantile regression (percentile 90th). 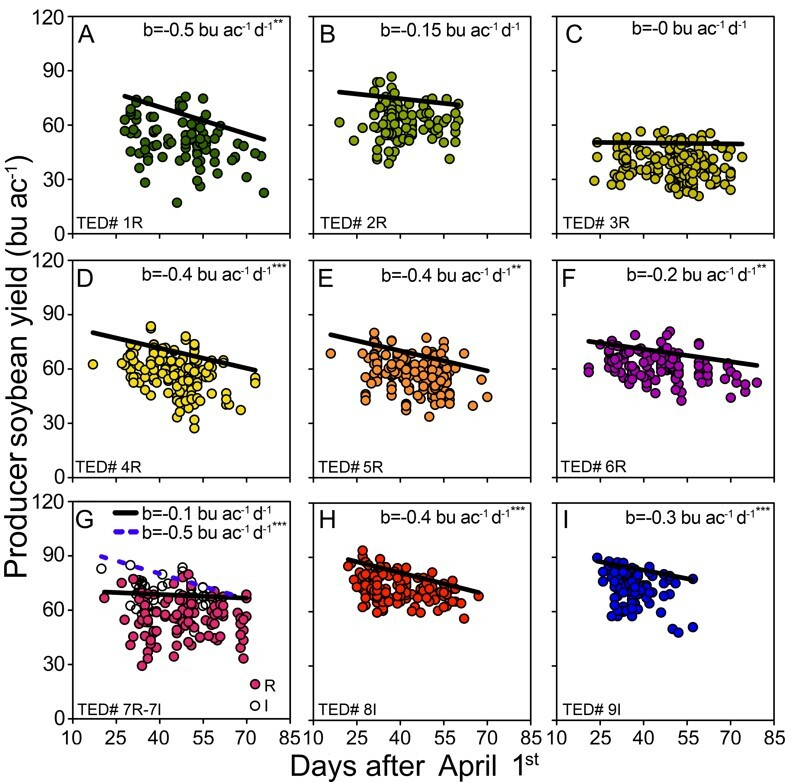 Separate boundaries were derived for rainfed (empty symbols) and irrigated (solid symbols) soybean fields in TED7. Slope of the fitted boundary function (b) is shown, with asterisks indicating significance at p < 0.1*, p < 0.05**, and p< 0.01*** for the null hypothesis of b = 0. 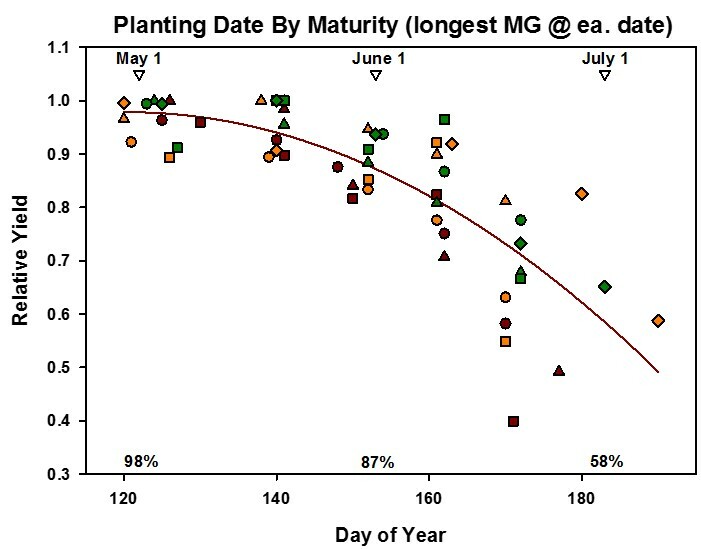 In conclusion, early planting is critical for higher yields through increased light interception, and can be further maximized by planting longer MG’s. However, variety selection heavily based upon the MG is not the “silver bullet” for increasing yields. 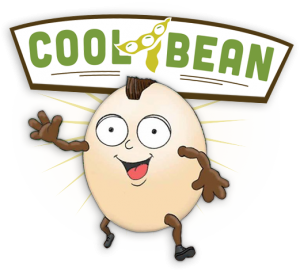 Yet, it does provide a strong “potential” for higher yields with no additional dollars spent, especially in early planting situations. Therefore, growers should give consideration to MG when selecting varieties, but past local and regional performance, disease package, scn-resistance, etc. should also strongly be considered. For more information on soybean planting dates please see Identifying Optimal Soybean Planting Dates across the U.S..